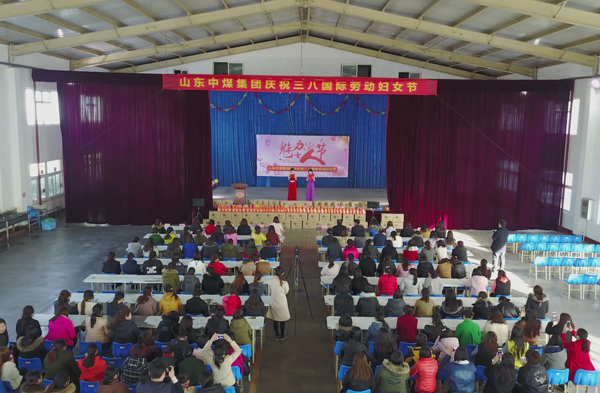 Summary: Shandong China Transport Group held a variety of celebrating activities for delivering the deep care of Group leaders to all female employees, to celebrate the 107th International Women's Day. 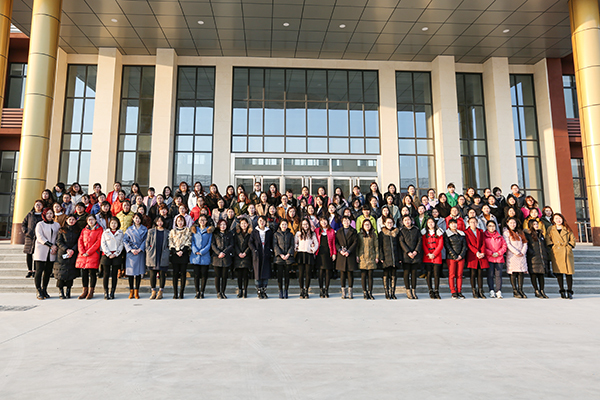 Shandong China Transport Group held a variety of celebrating activities for delivering the deep care of Group leaders to all female employees, to celebrate the 107th International Women's Day. Wonderful arts and crafts show for celebrating Women's Day, warm forum for caring all female empolyees, affordable exquisite staff welfare, offered joy and warmth to all ladies. China Transport Group Chairman and general manager Qu Qing, executive deputy general manager Han yong ,Feng Zhenying, Li Zhenbo and other Group leaders sit together with all female empolyees and watched the wonderful show. Firstly, Feng Zhenying, Group deputy general manager, expressed the greetings to all the female workers on behalf of the Group and expressed heartfelt thanks to the female workers who made positive contributions to the development and expansion of the Group. General Feng said that over the years, the leadership of China Transport Group attaches great importance to women's cause and women's work, always taking the protection of women's rights and interests as an important part of our development. Under the leadership of the Group, China Transport Group set up a Women's Federation. Guided by the organization, a large number of outstanding female employees emerged. Based on their own jobs, take the positive stance and self-confidence attitude, they actively has played the " half sky" role and made outstanding contributions for the rapid development of the Group! 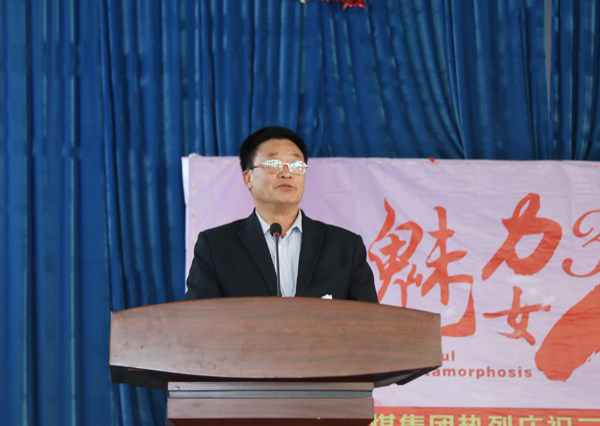 General Feng 's warm speech was warmly welcomed by everyone. 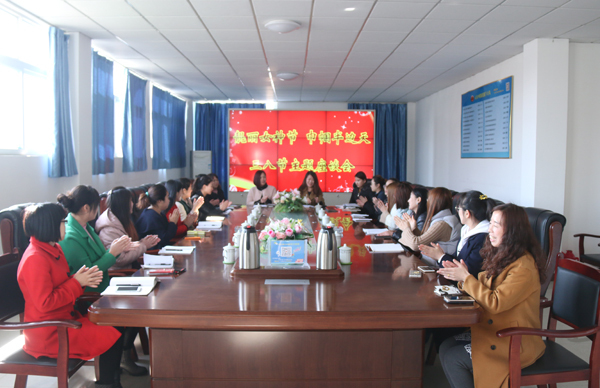 In the warm atmosphere, the celebration of the "International Women's Day" was debuted, and all the female employees of the Group actively participated. Everyone had come up with their own unique skills, songs, catwalk, dance and comedy.... A series of wonderful performances pushed the atmosphere of the performance to the climax again and again. Enchanting song and lively dance, which showed the style of China Transport People vividly, high-pitched songs fully demonstrated the full passionate spirit and uplifting spirit of China Transport People and expressed the love and confidence of all the China Transport female employees to the Group! In order to better promote the atmosphere, the Group leaders distributed bonus to all female employees, that pushed the happy atmosphere to the climax! Then the International Women's Day symposium "Beautiful girl's day, Woman half sky" was held in the Group. During the symposium, General Yan encouraged all the female employees, the Group provides a broad stage for the female workers to display their talent, so we females must cherish the opportunity to work, be self-esteem, self-confidence, self-reliance, based on the position to show women's new style, and make new achievements and contribution for the future innovation and rapid development of the Group! Then, all the participants spoke freely and talked about their own feelings and experiences from all aspects of family and work. Through conversation, the women employees get relaxed in the tight working time, deepened the feelings and improved work motivation. After the forum, the Group also prepared a beautiful welfare--Tide liquid detergent for the women workers, all the females are full of praise for the welfare benefits, the whole company is filled in a festive atmosphere. Received the warm care from the Group, all female employees expressed that they will devote wholeheartedly to work, show selfless devotion and work with more enthusiasm to transform the leaders' caring into motivation, and make more contribution to the development of group with the practical action!